Tata Motors has been on a roll in recent years with successful product launches back to back. The Impact Design philosophy based Tiago, Nexon, Tigor, Hexa and recently launched Harrier have contributed to a new breed of enthusiasm and of course change in brand image among customers. The homegrown automaker is experiencing a turnaround in fortunes and it isn’t resting on its laurels either. The Impact Design 2.0 premiered on the Harrier will give way to an array of launches including the 45X concept based Altroz premium hatchback. The latter built on the Alpha platform will certainly play a key role in a number of upcoming vehicles including a C-segment SUV codenamed as Blackbird. The architecture will be responsible for the majority of the volume based products within the lineup. It will spawn vehicles below 4.3-metre length while the more premium models will be addressed by the OMEGA that debuted on the Harrier SUV. While stating the highlighting moments of 2018, Tata did announce its intentions to compete in 90 per cent of the addressable markets. While the H2X is expected to be launched in early 2020, more mass market vehicles appear to be in the horizon. Pondering over the available segments, Tata apparently does not have a MPV in its portfolio and it could be considered as a disadvantage. Maruti Suzuki has long been relishing on its success with the Ertiga people carrier and as Tata wanting to be present in 90 per cent of the addressable market, it may well do so with a MPV on its own in the coming years. 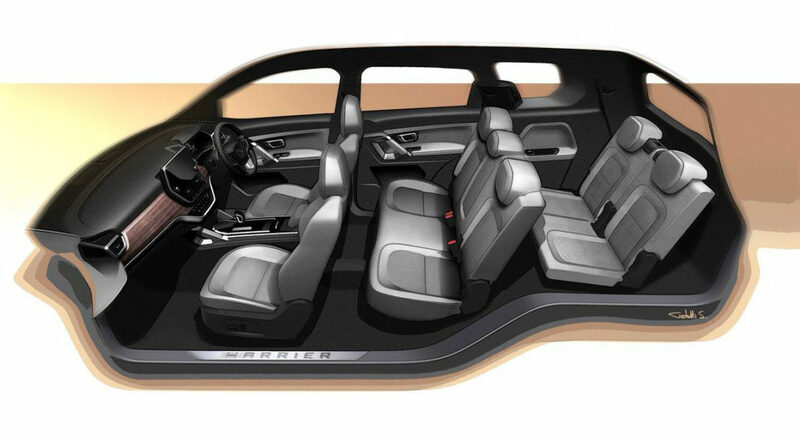 If it turns out to be the case, the Tata MPV could be based on the Alpha platform as the Altroz premium hatchback while sharing mechanical components and other cycle parts. The latest Ertiga not just grew in size due to the Heartect platform, its exterior and interior enhancements meant more upmarket stance was infused like never before. Moreover, the arrival of Mahindra Marazzo and its initial response might encourage Tata to proceed with a MPV. Rumours of Tata developing a seven-seat people mover have come and gone in recent years but no credible answers have been given yet. It is expected to be positioned below the Hexa crossover and draw several influences from it. A launch timeline is hard to guess at the moment but FY2020-21 is a possibility in our opinion.